Sculpture is dissolving. Individual objects are taken out of context. 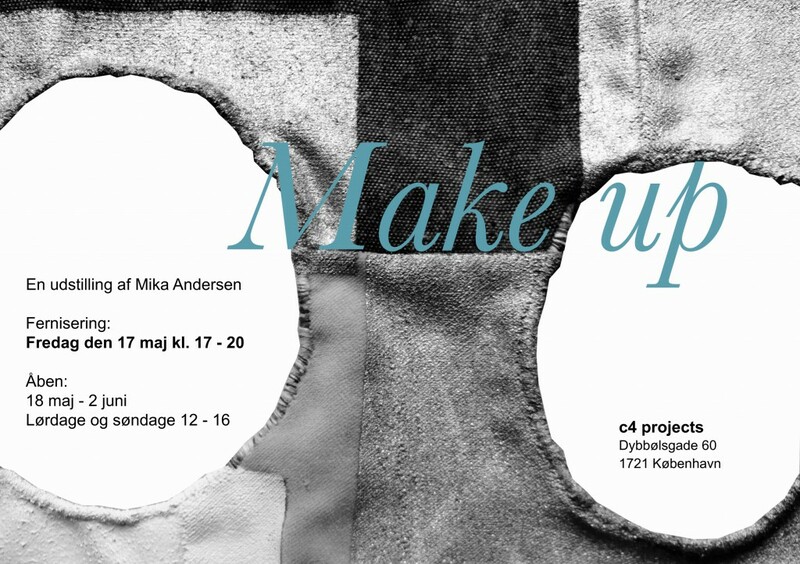 The exhibition “Make Up” at c4 Projects presents an installation of minimalist sculptural expressions. As single elements these works appear open and unfinished, but in the context of the space and in relation to each other they take their final form. “Make Up” should be understood as to invent, to come up with, to create, to beautify and to play around. Mika Andersen (b. 1979) studied at the Funen Art Academy, and lives and works in Berlin. She engages formal, conceptual and site-specific concerns with collage, sculpture and installation.